BOOM! 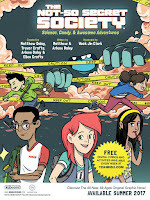 Studios is proud to announce THE NOT-SO SECRET SOCIETY, an all new multi-platform graphic novel experience! The writing team of Matthew Daley (Lantern City) and Arlene Daley call on twenty-five years of combined education experience to create this thrilling, coming-of-age adventure which premieres today with free, weekly mini-comics and activities at www.teamNS3.com and arrives in a full-length original graphic novel this summer. Madison, Dylan, Emma, Aidan, and Ava have pretty normal lives for a group of twelve-year olds: they go to school, participate in extracurricular activities, and, oh yeah, they also have AWESOME ADVENTURES. Together they form The Not-So Secret Society (also known as NS3). But when they invent a candy-making machine for their school’s annual science fair, things don’t go according to plan . . . and their candy creation comes to life and escapes, threatening to destroy the entire city! Clark added, "I loved adventure books as a kid—and still love them as an adult! It's the best of both worlds, being an adult who gets to draw this kind of story for a whole new generation of readers!" 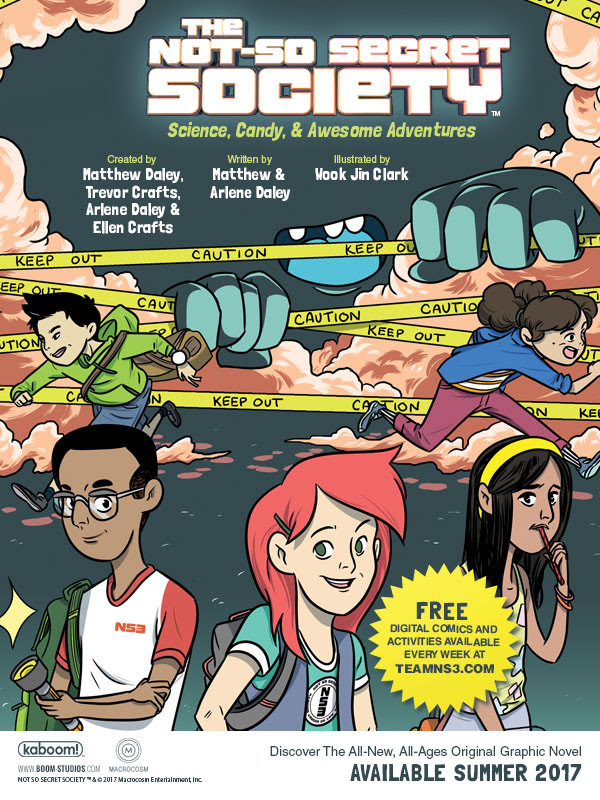 This all-new original graphic novel is the latest release from BOOM! Studios’ KaBOOM imprint, home to popular all-ages series such as Steven Universe and Adventure Time, inspired by their respective hit animated series on Cartoon Network; The Deepby Tom Taylor and James Brouwer, which has become a hit animated series on Netflix; Brave Chef Brianna by Sam Sykes and Selina Espiritu; and Mega Princessby Kelly Thompson and Brianne Drouhard.